1950s: white or cream dresses and suits. 1950s dresses mostly have metal zips. 50W2 XS About size 8. Allowing for breathing space, it should fit B83cm, W 61. Length underarm to natural waist 18cm, waist to hem 91. 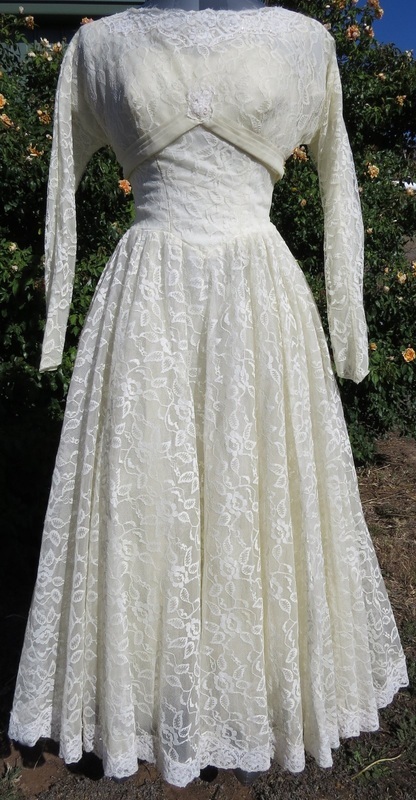 The bolero, sleeves and outer layer of the dress are lace over net. The bodice has at least two layers of (I think) polyester. 50W2 with bolero. 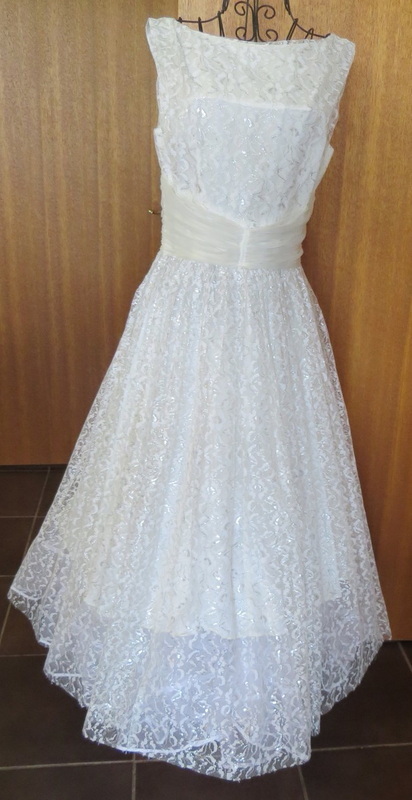 The skirt has a middle net or tulle layer with 5 tiers of ruffles, and a deep layer of polyester. Dress and bolero have sequins along the lace of the neckline. The bolero fastens at the back with 21 buttons (that's why you have a bridesmaid). 1950s or 60s. $140. 50W3 S Tulle with silver tinsel. B 86 W 65 Length 124. Photo over crinoline (not included in price). $140.